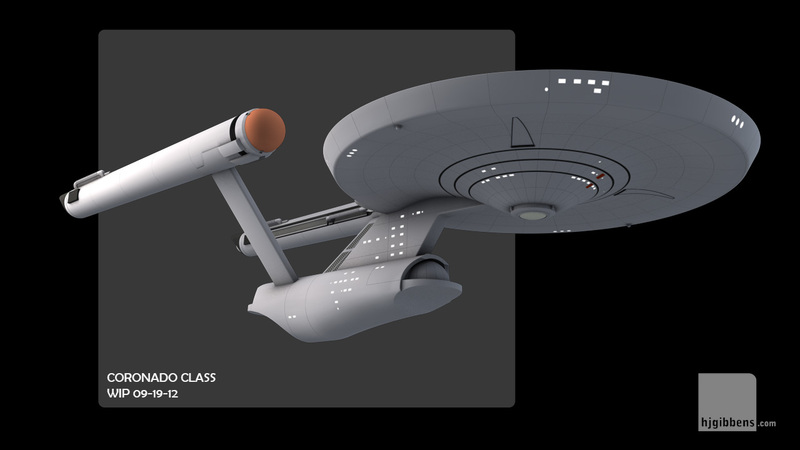 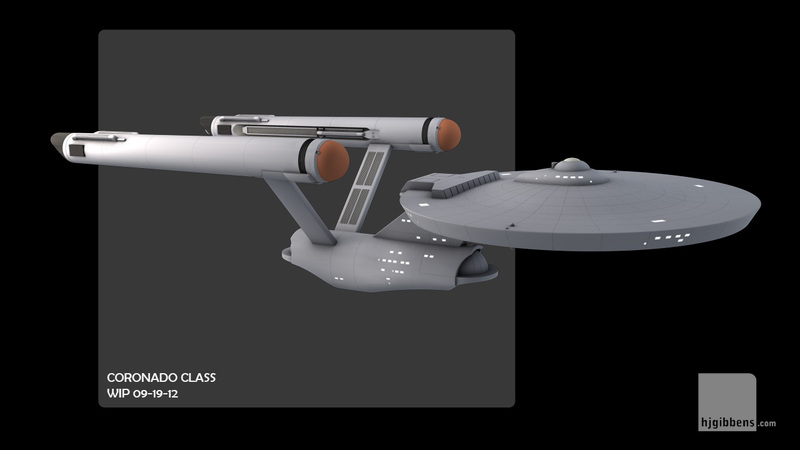 While working on the Santee, which is classified as a carrier in the Trek universe, there was a request for me to build the Coronado class - a 'thru-deck' carrier which appears in 'Ships of the Star Fleet: Volume 1'. 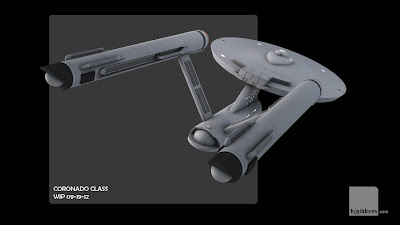 This was also a good chance to try out some new techniques for building the Trek style secondary hulls and iron out some problems that I had noticed with my earlier attempts at the Achernar and classic 1701. The bridge and BC deck are still the standard 11 footer version and need to be replaced with the FJ style version.